Peel Road Runners has a diverse membership ranging from complete beginners to experienced ultra runners. On this page Peel members have answered questions about their own personal goals and running experiences along with sharing some helpful advice and tips. What are your current goals/objectives? Do you have a favourite event/distance? What is your PB for that event/distance? Do you have a preferred training session? What is your favourite post-run treat? Describe your best running moment. Describe your worst running moment. Most memorable / funniest Peel moment? They are all great moments running with the club! What is you best piece of running advice? Hinckley Half – my first attempt and I was over dressed and carrying food and drink – a learning curve! Gotta love the beer runs! Set goals that you feel are beyond what you’re capable of. To continue to improve my times and get fitter. I look forward to a good parkrun more than most other events, either at KWP or further afield it is the highlight of my week. 21:12 but hoping to go sub 21 soon?? I have a love hate relationship with hills, I definitely hate them at the time of running them (up hills at least) but I also know how effective they are. No pain no gain right? Pizza, cakes and biscuits, chips and lager. Running the Birmingham Half Marathon. I had never run the distance before so was entering unknown territory, felt great for 10 miles but the last 3 were torture. Huge sense of achievement to cross that finish line. When I started running at the start of 2017 my muscles were just not used to the exercise and as a result I had recurring calf pains, thankfully that seems to be behind me now. Most memorable moment was running with the Peelers at Birmingham Marathon and seeing the true grit and determination from one of our members, obviously they were in a lot of pain from very early on in the race but they simply refused to quit…inspirational running. Dont run when injured just let your body tell you to take it easy and rest. Finishing my first half marathon, having started running at a late age and never really ran before, I never ever thought I would achieve this distance. Worksop half, looking at the top of the hill from the bottom thinking I am never going to make it. Starting the couch to 5K best thing I have ever done, and meeting new friends on the way. Just put your trainers on and run, don’t think about it the hardest part is going, once you have run the feeling after is amazing. To achieve 100 park runs and get back under 50 minutes for 10K. When I’m in West Yorkshire I have an eight mile run in the Pennines which has great views. A bacon sandwich in a cafe at parkrun. Running 38:29 at the Fradley 10K in 1993. Failing to beat 3:30 in the Robin Hood Marathon and then finding out I had a serious back injury. Sliding down a muddy slope at the Grizzly. Don’t race if you’re injured – we’ve all done it! The ONER – 82 mile run in 24 hrs. Not particularly although I seem to run around 10k quite often in races. Structured runs of course 😉 I also like long runs. Choose any from curry, pizza, burgers, sausages, beans, bacon, chocolate, sponge pudding. I like to eat! Probably 2:58 in Abingdon marathon as I trained specifically for sub 3 and got what I wanted. Being dnf-ed in an ultra marathon for missing a harsh cut-off by around 2 mins. We’d have definitely finished within the time limit! Anything to do with the Washlands Relays. I love the camaraderie at that event (and am hoping that the new XC races will be similar). Don’t increase mileage/intensity too quickly! You’ll pay for it in injuries. To challenge myself to run more off-road events in 2018 in different parts of the country. 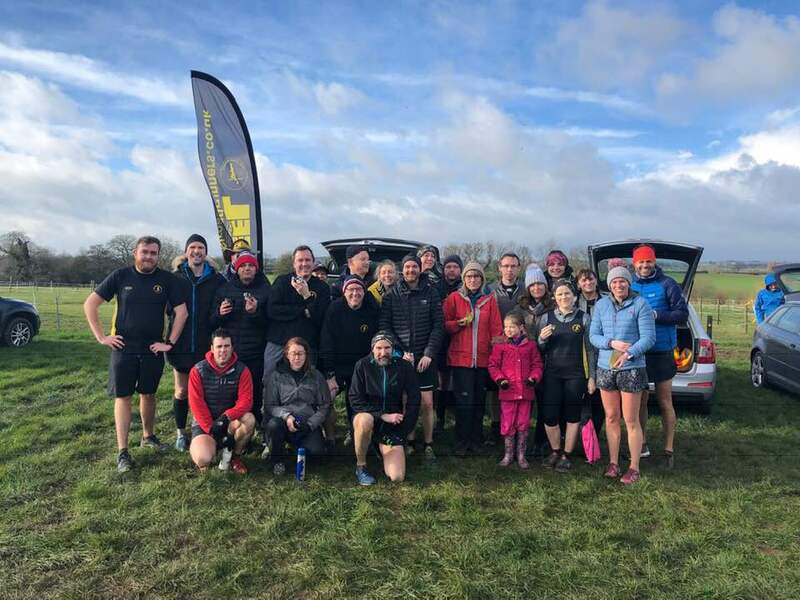 Prefer low-key events like the Yorkshireman (off-road) and the Dales Trail Series (20k, 30k & 40k), where the “banter” between runners and marshalls makes the racing much less stressful and much more enjoyable. Finishing!! It’s not about the time, it’s about the post-run cake! Not really, as I like to mix it up with long Club runs; structured training sessions and weekend off-road runs with my dog. In the summer, a pint of lager and a packet of crisps. In the winter, a large mug of tea and digestive biscuits! Discovering trail running! Has taken me to places that I never knew existed and given me the confidence to just pick up a map and go for a run. Has to be the London marathon! Too many people, too much noise, too much hassle…each to their own! There’s been a few! The Staffordshire Moorlands Christmas Cracker race (the year snow stopped the race on the Roaches!) has to be up there among the best. Cars stuck in the snow; cars pulled over by the police; runners missing the start of the race; runners running the course twice…and all in some very dodgy fancy dress! Join the Peelers – best thing I ever did! To complete all 4 XC races and all BDSL races next season. My favourite event is definitely London Marathon. But 26.2 miles is not my favourite distance. My marathon PB is 4.09.43. I love the summer off road runs. A pint of lager and any cake. Finishing the Gloucester 20 mile race and feeling fantastic after running comfortably and consistently throughout. It has to be the bullring hill at the end of Birmingham marathon. Me and Lisa sat in the Bulls head at the end of the Xmas beer run. After our mission to finish in the pub where we started 11 hours earlier. Be patient. Increase your mileage steadily when training for a long run, to avoid injury. No, the marathon requires a combination of many types of training session. Long slow distance (LSD) has its benefits allowing you to chat whilst training. Training in the hills in Wales. Cramping up in Rotterdam marathon when on for sub 2:45, with just the last 2k to go. Throwing Carl Baker in the sea, at season home of the grizzly. Structured hill sessions at Hopwas quarry. Sutton fun run. Really enjoyed the atmosphere, and felt strong when running. Birmingham Marathon, picked up a calf injury and nearly passed out at the end.